I have the 4200 cu. in. variety and although this is a 5lbs.+ bag, the comfort was well worth the extra weight. 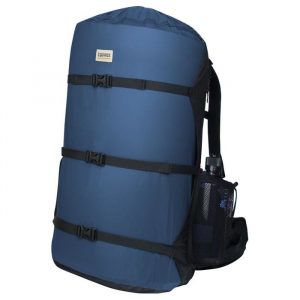 The bag is great for 3-4 day getaways if you're an "average" packer. By "average" I mean that I don't care how much my items weigh, but I bring only what is necessary (i.e. backpacker's tent w/ fly as suppose to a tarp or a family cabin). I really appreciated the two large zippered pockets on the sides of the pack, where my old pack just had more webbing pockets. 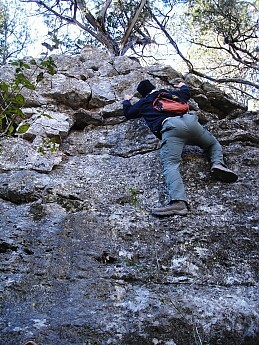 It was a great place to stash additional gear that I neither wanted buried inside nor exposed in the lower web pockets. The sleeping bag compartment was roomy enough to swallow my tent, my bag, and fleece blanket, while the internal divider helped to keep the rest of my gear at the right height along my back. The material felt nicer than my old pack and the bag's quality looked to be nicer than that of my girlfriend's new Kelty. The large #10 zippers were also much appreciated. 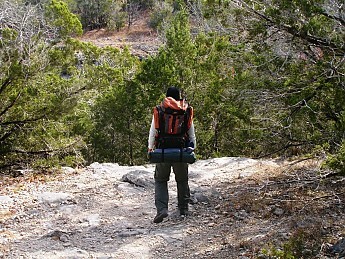 Like most bags, the top compartment can be used as a waist-pack. The belt within is wide, so I was able to sling it across my back like a messenger bag, cinch it tight, and monkey around while bringing the essentials along without discomfort. I have to say, I honestly love this bag. Maybe my last one wasn't a right fit or well past its expiration date, but the Cascade was everything I was hoping for and a little more. Rock on, Alps! I loved this pack from the start. It is several years old now, but I've only used it 5 or 6 times for weekend trips. I have noticed the material beginning to come apart where the stitching is. This is taking place at nearly all stress points. Quality of materials is cheap. Very disappointed with the build materials of this pack!!!! I would give it a 5 except for it falling apart. I would upload a photo if I had that option. I bought this Cascade the day before my 2 days trip to a continental divide place, 12.000 feet. I wasn't sure about this backpack. Let me tell you, it's awesome. I loaded up to the limit, about 40 pounds, is very roomy and very good balance. Be sure to adjust every strap before you leave. On my way up, we were caught by a storm and I have the chance to use the cover, works just fine. Lots of room. Lots of hidden extras. One or two questions about the stitching. 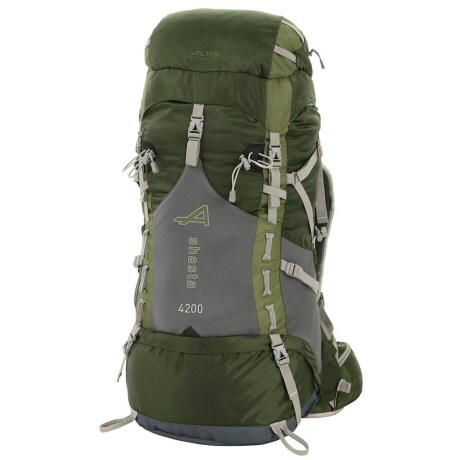 I purchased the ALPS Cascade 4200 on clearance before my first backpacking trip in February of 2011. Here's what I've found out about it so far. First, I'm a short guy, and so having a pack with an adjustable torso is important. 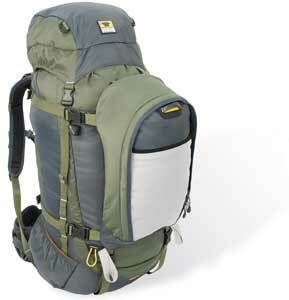 This pack works well for that, and the pack is very adjustable. It's a very comfortable pack although, for what the pack is, the shoulder straps could be a little bigger. The hip belts are comfy though, and that, to me, is more important (given that your hips are what bears the majority of the weight). 4200 cu. in. is insane. Probably more pack than I need. But they do an excellent job of balancing this weight throughout the pack, with a sleeping bag compartment below (my whole sleep system fits in there) and spacious side and front pockets. I can't imagine needing any more room in a pack unless I was packing stuff for two people. The lower portion of the pack also features a drawstring close-off deal that works well for separating your sleeping stuff from everything else. This also acts as a means to compress the stuff below, giving more room for the heavier stuff above. So... the really cool things about this pack: The top part of the pack is removable, which is pretty standard. But hidden behind a layer of nylon are some webbing straps that convert this thing into a fanny pack. This, I can see, is going to be useful if you might be setting up camp somewhere and need a day pack to take out from your campsite. No extra bag needed. Secondly, and far more useful, is that the rain fly for your bag is attached in a little pocket at the base of the pack. I didn't even know it came with the pack until I did some research and found out it was there. I actually e-mailed ALPS saying mine didn't come with a rainfly. They told me where to look. Voila. So, here's why it only got 3 1/2 stars... I haven't used this thing nearly enough for the stitching to be as bad as it is on it. The rest of the pack is fine but my right shoulder strap is literally holding on by a thread. I'll be sending it in to get replaced as soon as I can. But otherwise the pack is really nice. I took this pack through the Superstition Mountains and the Grand Canyon on a two week backpacking trip. 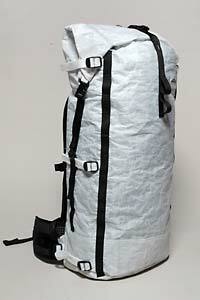 This pack is durable and reliable. I even took it overseas through Hungary. 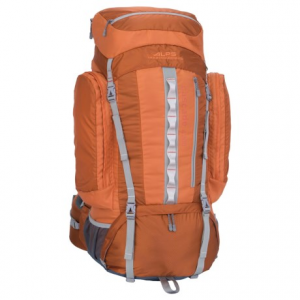 For many people, the pack will provide adequate size for a three day trip. However, if you are planning on backpacking for a week and would like to have plenty of food, I would find something with more space. 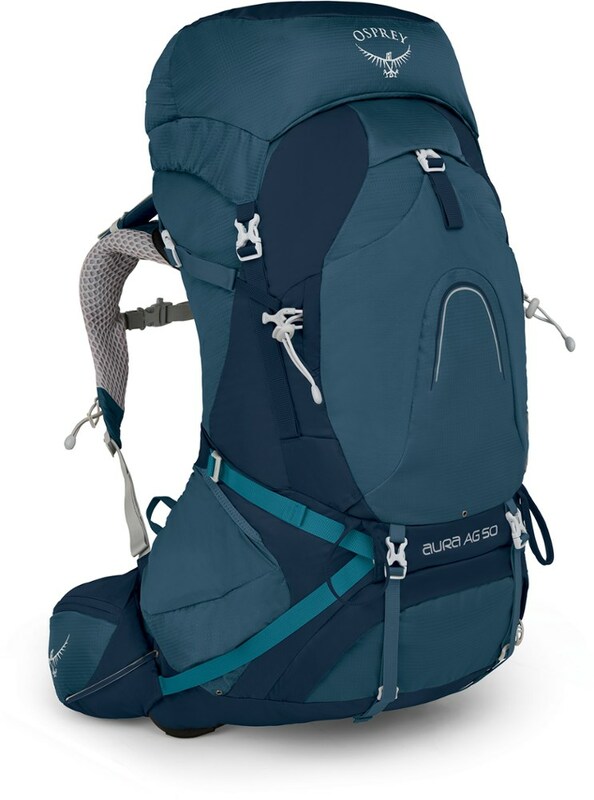 For someone who is going to be carrying less the average group member or going for three days, this pack is perfect. For a person who is going to be caring more then the average group member or someone who is going it solo, more space will help you a lot. 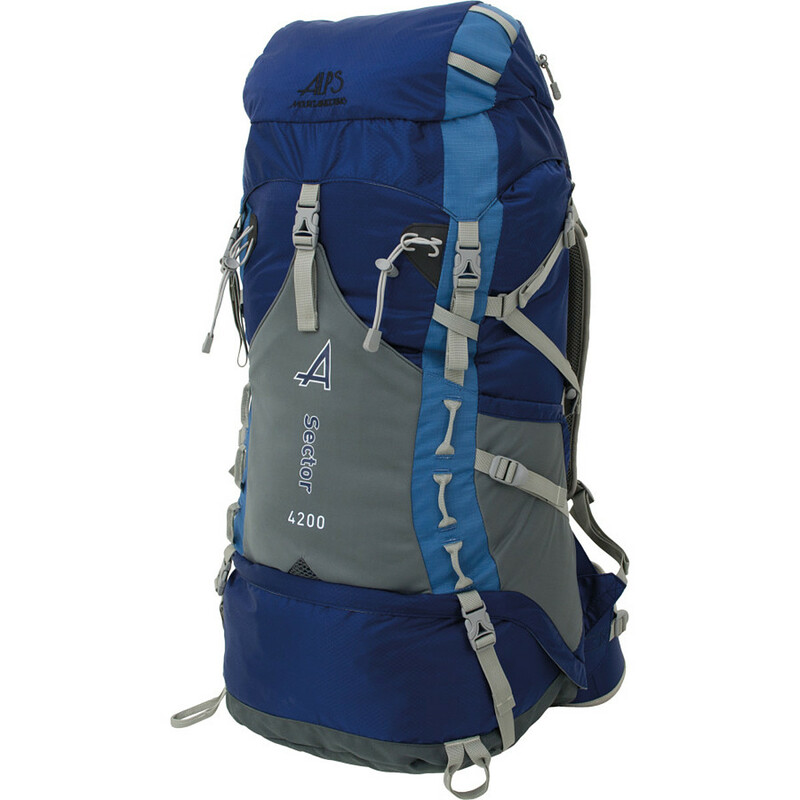 The ALPS Mountaineering Cascade 4200 is not available from the stores we monitor. It was last seen October 6, 2017	at Sierra.